I have been loving all of the gorgeous bulbs that have been popping up everywhere in my neighborhood. 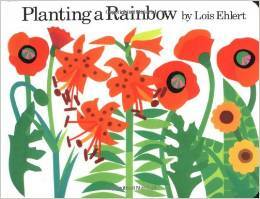 It reminds me of my favorite spring time book Planting a Rainbow by Lois Ehlert. 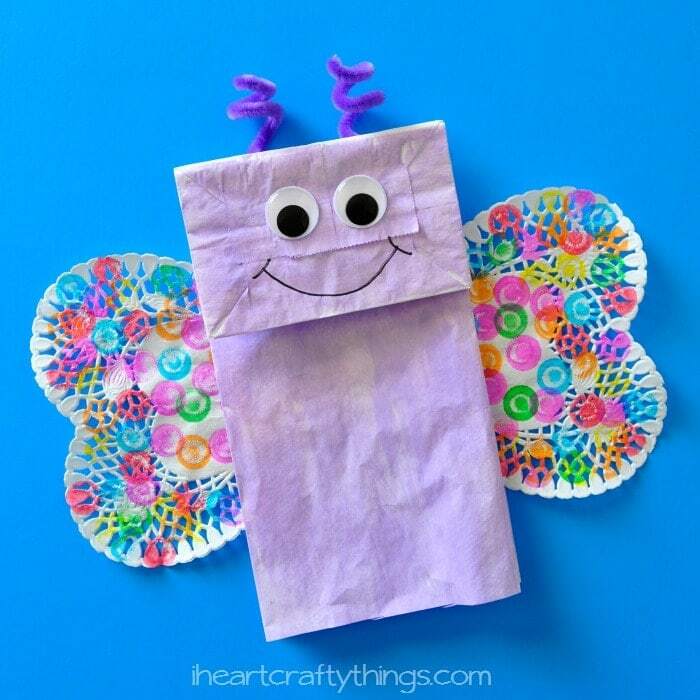 Every year we love to make a craft to go along with the book. 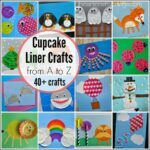 Last year we had so much fun with cupcake liner flowers that I thought I would make another variation of the craft. 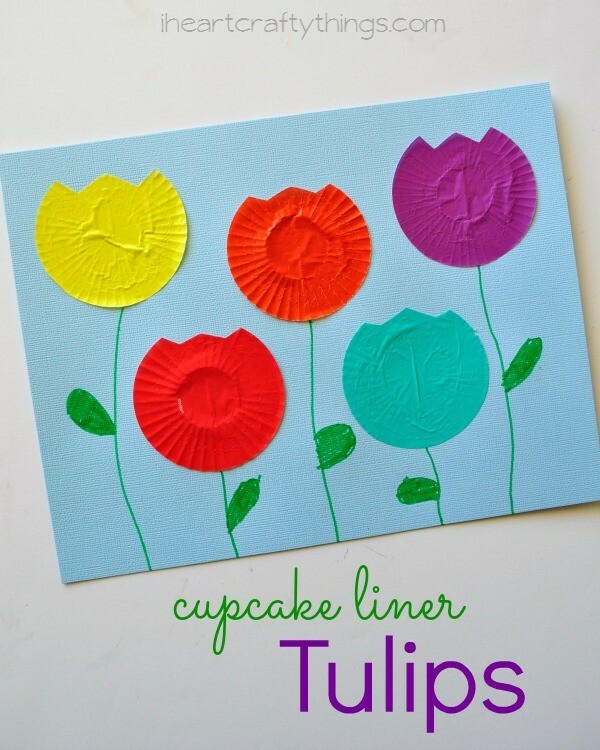 This time we made a simple and colorful Cupcake Liner Tulip Kids Craft. 1. 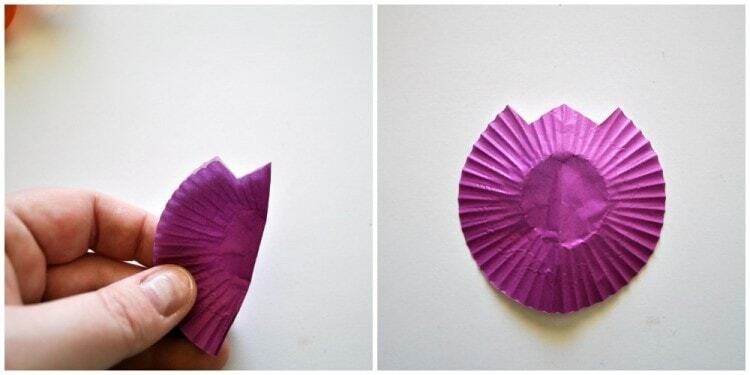 Start by folding your mini cupcake liners in half. 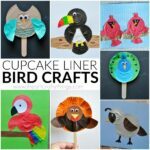 Use your scissors to cut a V-shape out of the top of the folded cupcake liners. 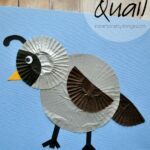 When you open them up you will have a little tulip shape. 2. 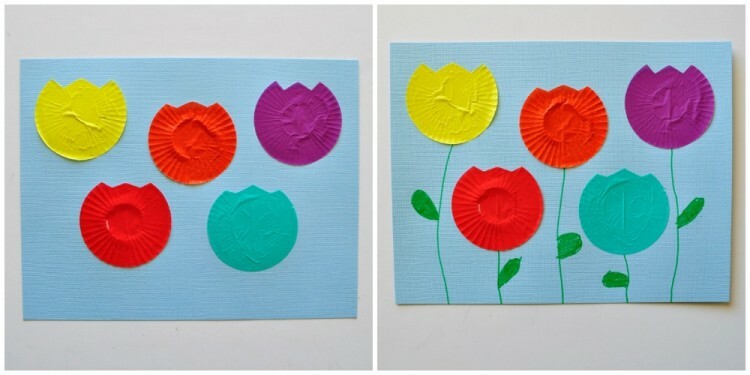 Glue the tulips onto your light blue cardstock paper. 3. 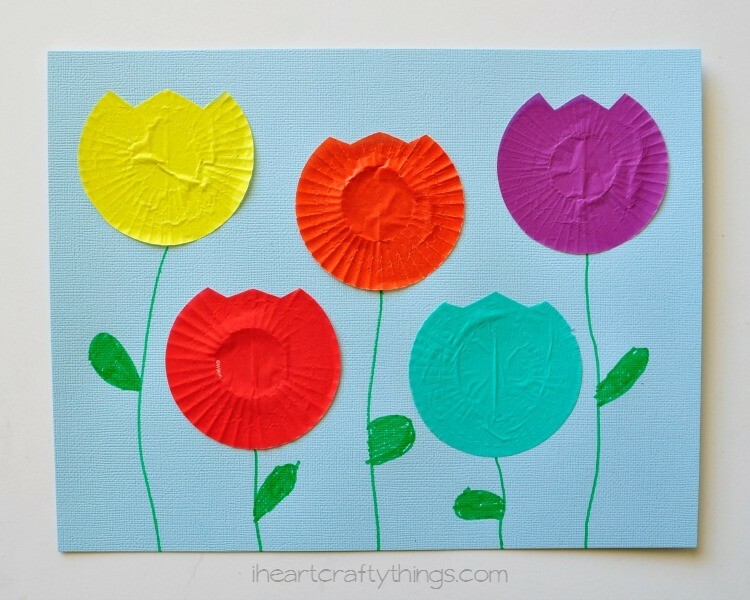 Use your green marker to draw stems and leaves onto your tulips. You can purchase Planting a Rainbow on Amazon!